Avnet Memec - Silica, an Avnet, Inc. (NYSE: AVT) company, has announced the company will be using Embedded World 2016 in Nuremberg to launch and show a range of innovative solutions. The 250sqm booth will host a demo and solution area where Avnet Memec – Silica will be running over 60 demos on seven demo stations. The solution area will showcase demos which address a range of challenges encountered by design engineers, including enabling companies to benefit from the vast opportunities offered by advanced Internet of Things products, systems and technologies. The seven demo-stations will include advanced technologies in the areas of connectivity, FPGAs and SoCs, sensors and signal chain, power, and microcontrollers and microprocessors. A second element will be the ‘Solutions Area’ focussing on key technologies required for IoT product and system deployment, including: FPGA and microprocessor-based video systems and camera modules; datacom solutions based on QorIQ communications processors; and key IoT security technologies such as Secure Element and eUICC. 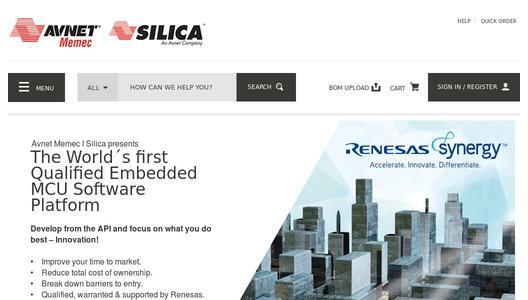 A key IoT development platform also on show at the Avnet Memec - Silica stand will be the revolutionary Renesas Synergy Platform. The solution integrates qualified software with a new family of microcontrollers and an ecosystem of tools and support options into one scalable and secure platform, enabling rich software development for an unlimited number of end products. The company will also host a seminar on the IoT in industrial applications, entitled ‘Sense, Connect, Control and Actuate’ and based on products and technologies from leading semiconductor vendor STMicroelectronics. The seminar will run over four sessions of 30 minutes each, between 09:00–12:00 on Wednesday 24 February. The booth will also feature a Maxim Integrated area, where Maxim Integrated will exclusively showcase solutions for power, industrial drivers, and real time clocks as well as a host of reference designs. 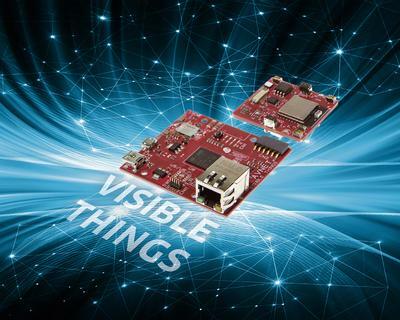 Avnet Memec – Silica will also be launching an innovative edge-to-enterprise reference platform ‘Visibile Things’ for industrial companies at the show. Taking advantage of both short-range and wide-area-networking technologies, the offering will include IoT edge-product development solutions, advanced connectivity, secure gateways and cloud services for advanced data analytics. Avnet Memec - Silica will be in hall 1 on stand 1-370 at Embedded World 2016 in Nuremberg, Germany on 23-25 February. The booth will feature a twitter wall, and Avnet Memec – Silica will be tweeting all the news and events during the show on twitter with the hash tag #AvnetEW2016.